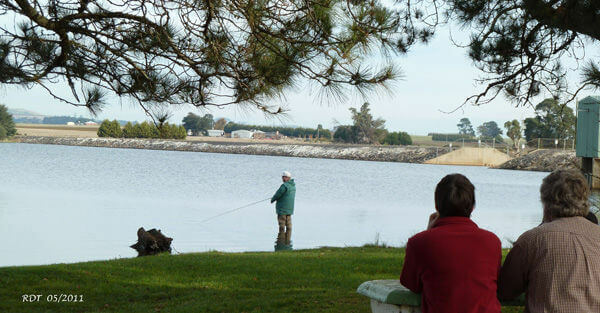 Fishing | Business & Tourism Creswick Inc. There are no permits required to fish in the following water storage areas. Located about 11 kms from Creswick on the road to Daylesford; follow the signs just past the Newlyn Hotel on the right. This is probably the number one fishing location in the district. Reports of fish taken from Newlyn Reservoir are often found in local and Melbourne papers. There are Redfin of all sizes, brown and rainbow trout up to about 3 kilograms. There are BBQ sites (take your own wood) and a playground for children, so it is a good spot for the whole family. 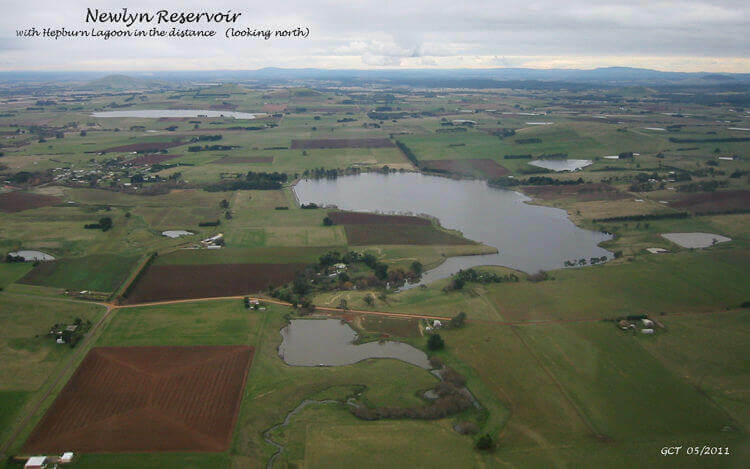 Next to the Caravan Park, located about 1 km north west from the Post Office, this major water feature covers an area of about five hectares. This incorporates the local 'swimming pool' with its historic diving platform. There are two deep lakes and a 'swimming pool' section which hold redfin and tench with the odd trout or yellow belly also taken. Worms and scrub worms fished under a cork or other float in the right spot can produce redfin to one kilogram or more. Lures also produce bites. The quality of fish is often less than spectacular but it's a good spot to teach someone the way to go about catching even small fish. There are toilet & change room facilities, a free electric BBQ, and picnic settings with lovely expanses of lawn. A peaceful quiet location that is ideal for a family picnic where the children can stretch their legs. Located about 7 kms from the Creswick Post Office along the Melbourne Road turning left onto the Dean Road, and then within a couple hundred metres turn left again onto an unsigned dirt track, and then again within 100 metres, turn left off one dirt track onto another dirt track which leads within 200 metres to the dam wall. Warning: these dirt tracks can get fairly rough, and extremely boggy in wet weather. The reservoir has redfin of all sizes with bags of half a dozen or so fish (0.6 to 1 kilogram) possible. The trout in Cosgrove can be as large as 3-4 kilograms, but more frequently they are 1-2 kilograms. Large tench are also present. The best method to fish here is using mudeyes under a running float, worms on the bottom, lures and both wet and dry flies. Yabbies and minnows can also produce good fish. Located about 13 kms from the Creswick Post Office; about 2 kms past the Newlyn Hotel on the left hand side, there is a dirt track opposite the Sailor's Falls turn-off. This lagoon contains many quality fish. It is a common occurance to hear of 3, 4 or even 5 kilogram trout being caught, and redfin that are around 1 kilogram in size. Monster tench can also surprise anglers. A regular stocking program ensures that there is a plentiful supply of trout in this body of water. 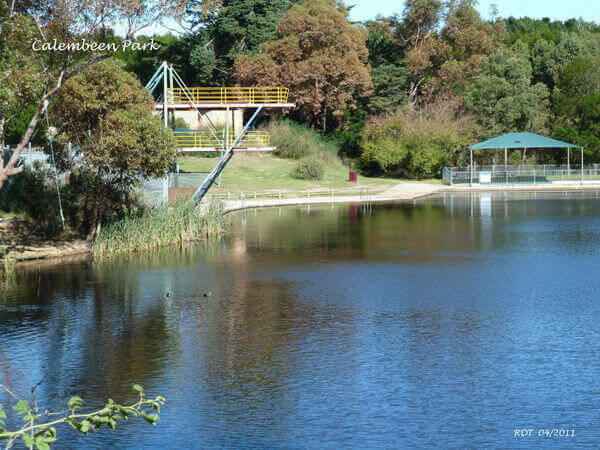 As Anderson's Lagoon is surrounded by private land, dogs are not allowed. 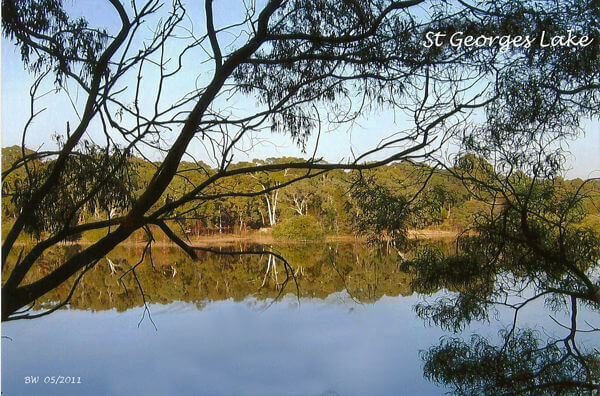 Located about 2 kms from the Creswick Post Office along the Old Melbourne Road on the left hand side, this is an ideal spot to take children or beginners. 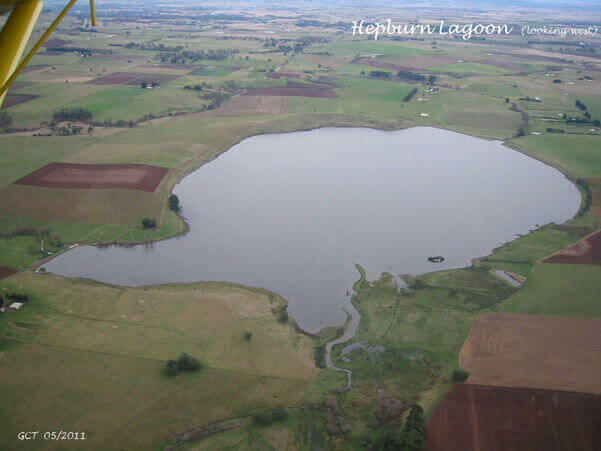 This sizable lake with a circumference of about three kilometres holds a good population of fish. Whilst the size of the fish is often not very big, do not be put off as there are redfin to over 1.3 kg and trout to around 1 kg taken from this lovely spot. 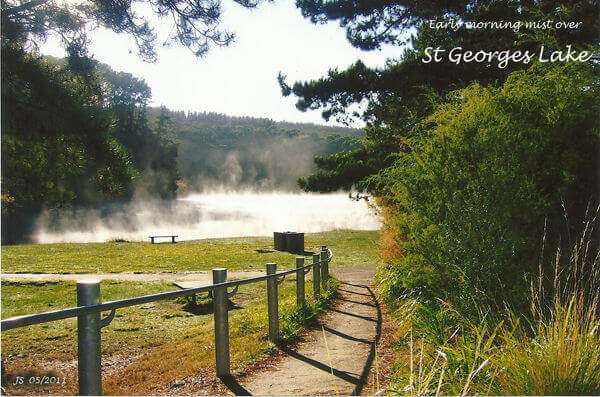 Picnic facilities are ideal for a family BBQ, with two free modern electric facilities. A walk around this lake is a very pleasant and relaxing experience (allow about 30-45 minutes).